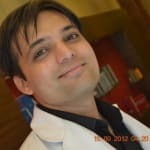 Dr. Gaurav Patel is one of the best Dermatologists in Shahibaug, Ahmedabad. He has had many happy patients in his 12 years of journey as a Dermatologist. He is a Diploma In Dermatology And Venerology And Leprosy (DDVL) . You can consult Dr. Gaurav Patel at Aastha sklin and laser clinic in Shahibaug, Ahmedabad. You can book an instant appointment online with Dr. Gaurav Patel on Lybrate.com. Lybrate.com has a number of highly qualified Dermatologists in India. You will find Dermatologists with more than 40 years of experience on Lybrate.com. Find the best Dermatologists online in Ahmedabad. View the profile of medical specialists and their reviews from other patients to make an informed decision.